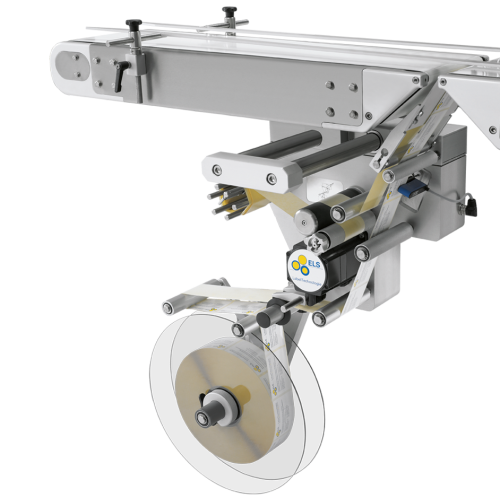 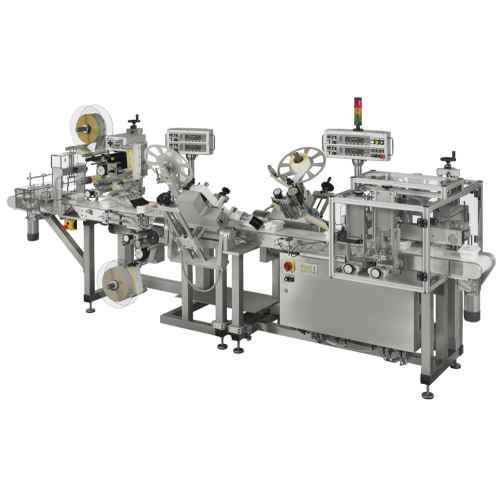 Modular assembly ELS 330 automatic labeller, designed for the simultaneous application of labels to the top and base of continuously fed products and packs of different shapes and materials. 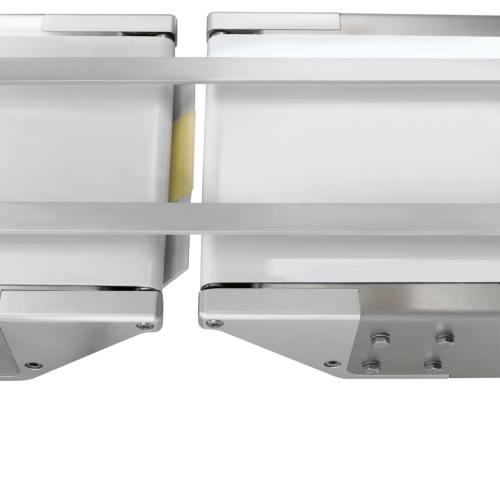 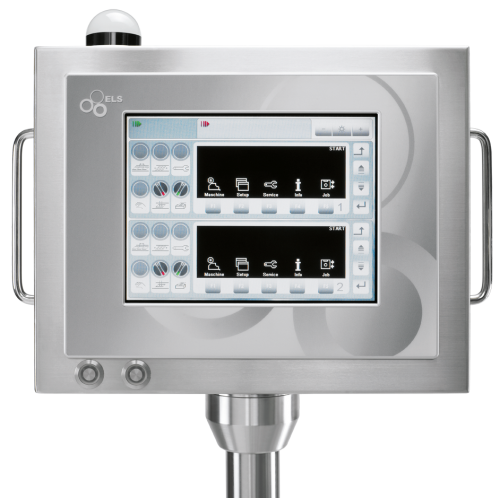 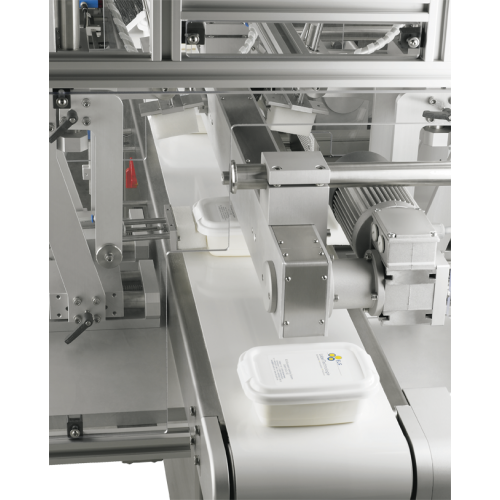 Two additional labelling stations, each equipped with a special adjustment unit, can be used to seal the products or trays on both sides. 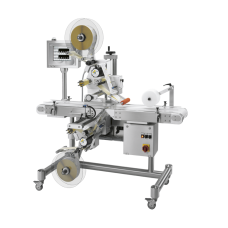 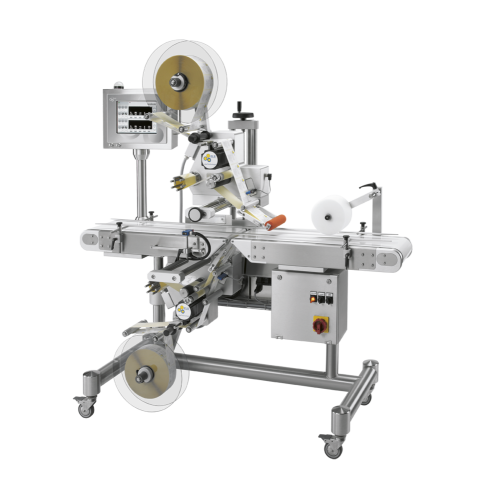 A special press-on unit guarantees that the sealing labels are pressed precisely onto the products or trays.